Skye Gravestones | Rod'ck & Christina (Ferguson) Murray, Allan Ferg'. Rod'ck & Christina (Ferguson) Murray, Allan Ferg'. 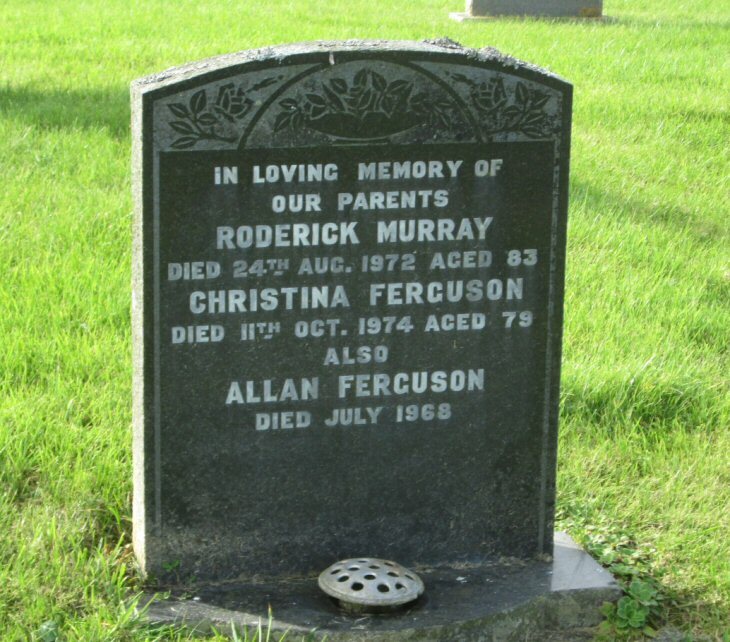 In loving memory of/our parents/RODERICK MURRAY/died 24th Aug. 1972 aged 83/CHRISTINA FERGUSON/died 11th Oct. 1972 aged 79/also/ALLAN FERGUSON/died July 1968. Picture Added on 25 January 2014.